Our Bulletin Boards, Tack Boards and Cork Boards help preserve your wall as you post and tack messages in your office or classroom. These products come in all sizes, designs, and surface materials, from fabric and vinyl to rubber and cork. Choose a Wall Mounted Corkboards that fits your interior space, or custom-cut your own piece of cork for your unique work area. 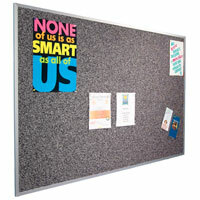 Brite Inc. provides high quality bulletin boards and cork boards to fit any need. 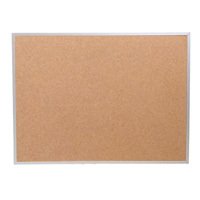 A cork bulletin board, as well as many of our other boards, comes in a variety of sizes and styles to best match its use and environment. From the Wall Mounted Fabric Corkboards to the frame cork board, every product features premium posting surfaces in a variety of freestanding and wall-mounted designs to fit almost any indoor or outdoor environment. Depending on the board you buy, you can tack up posters and paper announcements, or create your own custom messages with plastic letters, numbers, and characters. 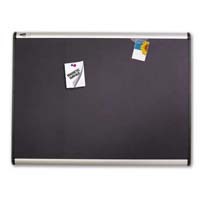 Buy a magnetic bulletin board, wall cork board, or a Unframed Bulletin Board Material today and keep everyone at work, church, or school in the know at all times. 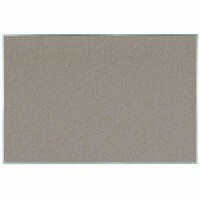 Cork rolls or quartet bulletin boards are a simple way to improve the organization of any work space. You no longer have to worry about losing a memo or having an unsightly stack of documents pile up on your desk. An office cork board quickly and efficiently relays information to the employees in the room, whether it is an important work-related memo or a reminder about the company softball game. From fabric bulletin boards to tackboards, the wide selection at Brite Inc. promises that we cannot only fulfill your needs, but match your style and complement any indoor d�cor. Improve the communication and efficiency in your work place today. Brite Inc. is proud to provide you with the best products in the industry for over 50 years and happy to answer any questions you may have. 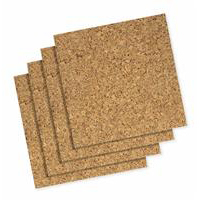 You donate have to settle for a common, overpriced cork bulletin board or choose from a narrow selection at a department store. At Brite Inc. you can find durable, well-crafted bulletin boards and cork boards that are a perfect addition to your home or office. Brite Inc. is a Whiteboard company. Our main offerings include: Porcelain Magnetic Whiteboards, Freestanding Whiteboards, Cork Bulletin Boards, and Tack Boards for schools, offices, hospitals and more.